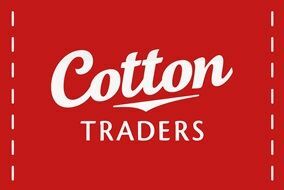 Cotton Traders were established in 1987 by Fran Cotton and Steve Smith. Two former rugby captains, their teamwork began on the pitch – playing for the Barbarians, England and the British Lions, to name a few – from small beginnings on a trading estate in Sale, developed beyond the world of rugby into one of Britain’s most successful, home-grown multi-channel retailers. In 1998, Cotton Traders opens its first retail store at Cheshire Oaks. They would go on to open another 100+ stores around the UK. In 2001, Cotton Traders opens its first store in a garden centre. They now have multiple locations in garden centres across the country. POS began their partnership back in 1998 when Cotton Traders conducted an extensive search for potential EPOS providers that could deliver a flexible Electronic Point-of-Sale application. The solution needed to be configurable to meet both customer and business specific requirements. POS implemented the first Cotton Traders store later that year. POS and Cotton Traders have continually worked together over the years, to create today’s reliable and functional EPOS Solution. A major requirement was to integrate with the SAP system Cotton Traders have in place at their HQ. The POS integration is seamless and allows transaction data from each store to flow directly into SAP. The POS solution also receives data which includes new products, price changes and tote information for deliveries to retail outlets. Stores use the EPOS system to track totes being delivered and has the ability to send totes to other branches. The latest addition to the POS functionality allows each Cotton Trader location to capture customer information at the point of sale and send it to the SAP system. This information is collated and used for promotions, discounts, catalogue distribution and marketing . Customer discounts can be allocated via the EPOS solution as Priority customers or Gold customers. This functionality provides the returning customer their immediate discounts whilst in-store. - Nick Turner. Head of IT.